Steven Gellman was born in Toronto in 1947. At an early age he showed great musical talent and received a strong and thorough foundation under the instruction of Dr. Samuel Dolin. Throughout his teenage years he appeared frequently as a pianist and composer. Notably at the age of 16, he appeared as soloist with the CBC Symphony Orchestra under Boyd Neel in his own Concerto for Piano and Orchestra. In 1964 Steven Gellman was the first Canadian winner of the International BMI award. Further studies followed, at the Juilliard School in New York, with Vincent Persichetti and Luciano Berio , and at the Paris Conservatoire with Olivier Messiaen from 1973-76, where he was awarded the Premier Prix. In 1970 he won the UNESCO prize for “the best work by a composer under the age of 25”, for “Mythos” for flute and string quartet. One of Gellman’s most extensive works, Chori, was premiered by the Toronto Symphony in 1975. Since his return to Canada in 1976 Gellman has been Professor of Composition and Theory at the University of Ottawa. During the late 70’s he composed several pieces for piano including Poeme, for Angela Hewitt; Wind Music, commissioned by the Canadian Brass; Dialogue for horn solo; and Dialogue II for flute and piano. 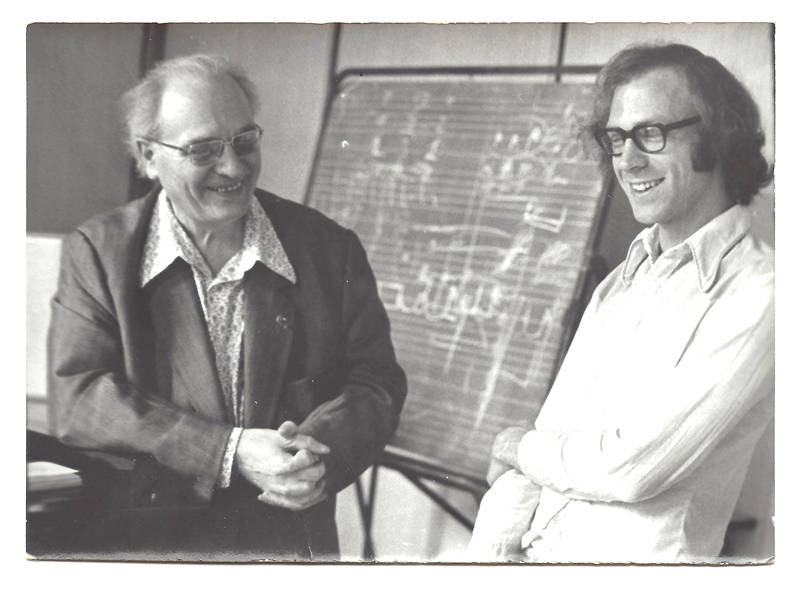 In 1978 Gellman received a commission from the French Government to compose a work for the Festival de Besancon, France, in honour of Oliver Messiaen’s 70th Birthday. The result, Deux Tapisseries for 15 players, was given its premiere on September 11, 1978, in Besancon by the Ars Nova Ensemble conducted by Marius Constant; it was given a repeat performance one month later in Paris. Gellman’s expertise in the area of orchestral music triggered a commission from the Toronto Symphony to compose Awakening in 1983, a short concert overture moving from darkness to light, chaos to order, through a gradual accumulation of energy. The work was one of the three introduced during the orchestra’s first season in Roy Thompson Hall. In the spring of 1983, it was featured by the orchestra during a major tour throughout Europe. In 1986, the Toronto Symphony unveiled another newly commissioned Gellman opus, Universe Symphony, featuring the synthesizers of the Canadian Electronic Ensemble as soloists with the orchestra under conductor Andrew Davis. A performance later that year at Expo 86 in Vancouver, featured the Vancouver Symphony. Further performances followed, at the Festival de Lanaudiere with the Orchestre Metropolitain de Montreal and in Ottawa with the Ottawa Symphony. Composed with the aid of funding from both the Canada Council and the Ontario Arts Council, this ambitious work in five movements features many lyrical episodes framing a driving, energy-raising Scherzo culminating in an improvisation from the soloists. It is dedicated “to all beings in the aspiration for World Peace”. Universe Symphony brought further international recognition with Steven Gellman being named Canadian Composer of the Year in 1987. In the wake of Universe Symphony, Jon Kimura Parker commissioned Steven Gellman to compose a work for him. The result was: “Keyboard Triptych” for Piano/ Synthesizer with which Parker toured Canada, the U.S and Britain. Since then Gellman has composed a wide variety of works, including Love’s Garden, for Soprano and Orchestra; Canticles of Saint Francis, for Choir and Orchestra, for the 150th anniversary of the Red Cross; a second Piano Concerto;Burnt Offerings for String Orchestra; Musica Eterna, for String Quartet; Red Shoes (for the S.M.C.Q. ); Chiaroscuro; Album for Piano (published by Frederick Harris Co.); Sonata for Cello and Piano; the Jaya Overture (for the N.A.C.O.) and Fanfare for the New Millennium, among others. Gellman’s Piano Quartet(commissioned by Radio Canada) received its world premiere on April 3, 2004 in Montreal, performed by Musica Camerata. His Viola Concerto received its world premiere on January 29, 2007 at the National Arts Centre in Ottawa. “Musings” for Piano Trio was premiered by the Gryphon Trio at The Ottawa International Chamber Music Festival, summer 2009. 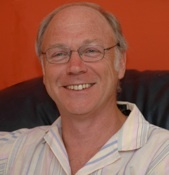 Steven Gellman lives in Ottawa with his wife, Cheryl, a painter. They have two grown children, Dana and Misha. “Gellman’s Burnt Offerings is filled with strongly felt and vividly expressed emotion.